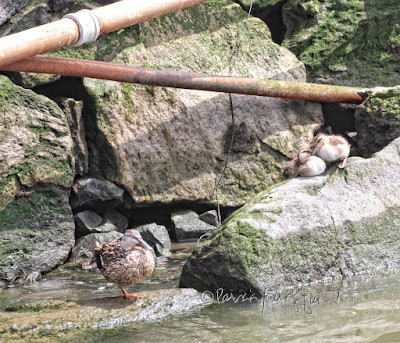 For this year's holiday I'm honoring it with pictures of Mallard siblings, taken at the Hudson River, as evidenced by the picture atop this entry where Mallard siblings are showing their affection for each other (far right in the image, they nearly blend in with the rocks). 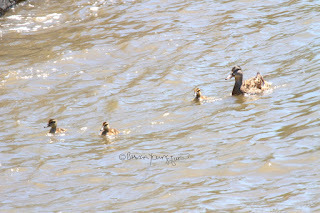 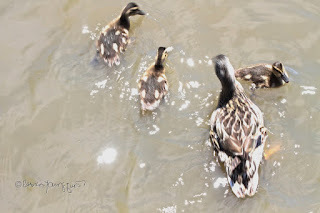 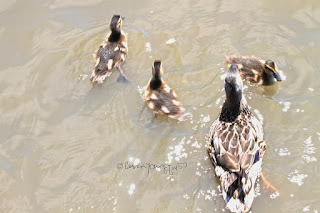 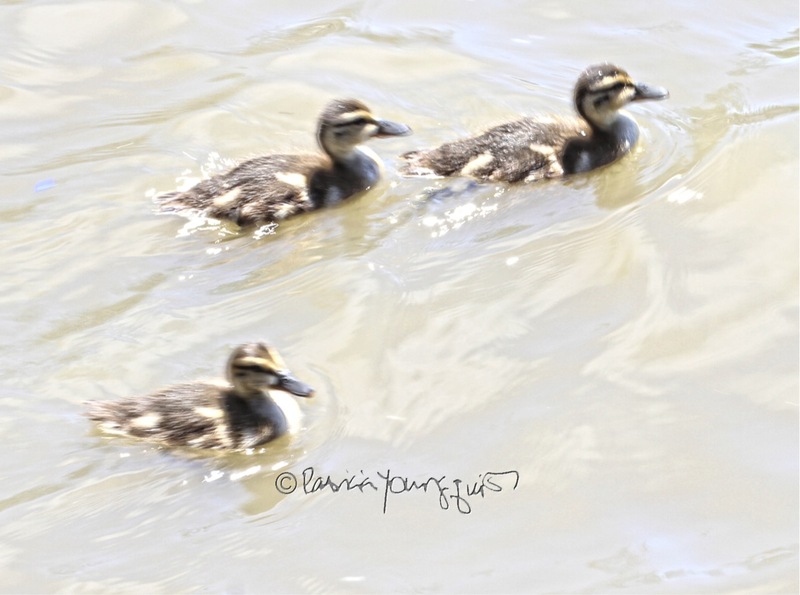 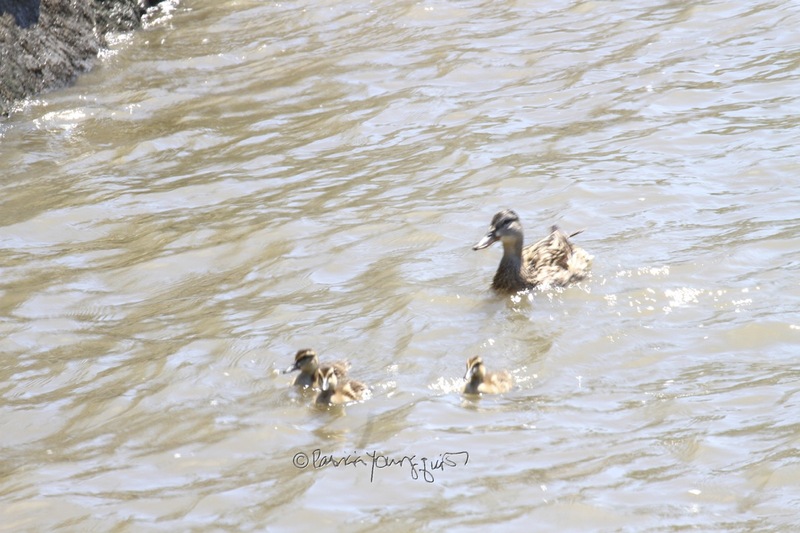 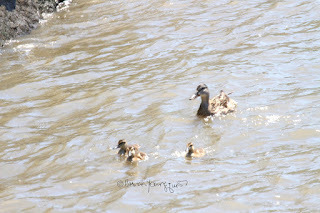 These ducklings are also featured in the next image where they are swimming with their other siblings as well as with their mom. 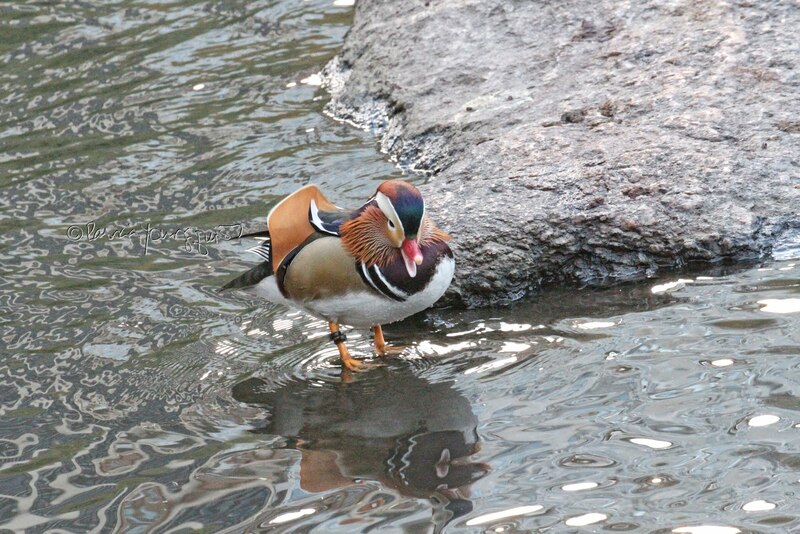 Waterfowl seem to be very family oriented. 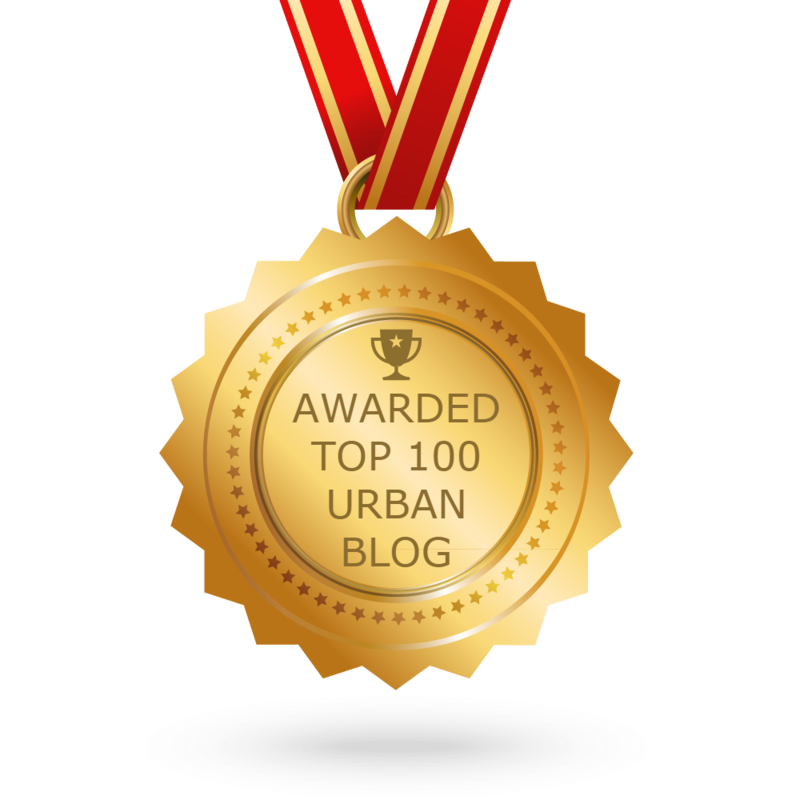 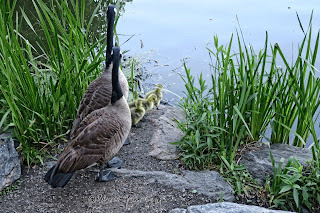 This is an observation that I've written about a number of times here on Blogger. 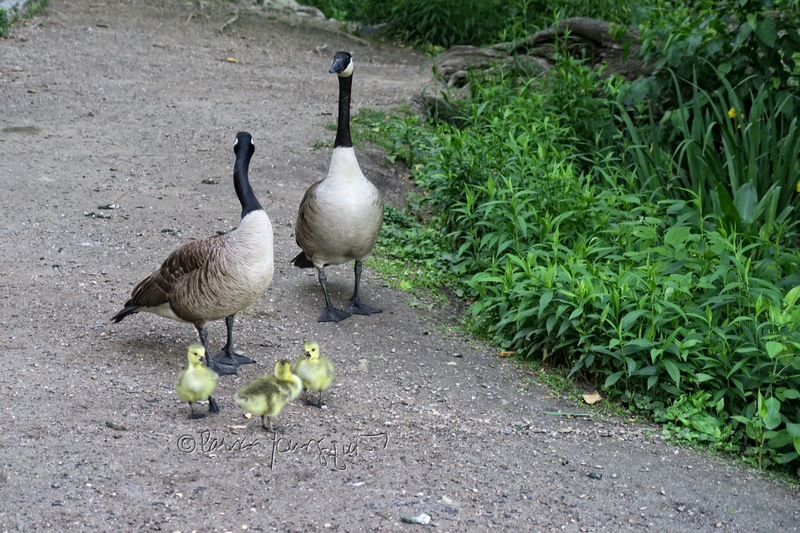 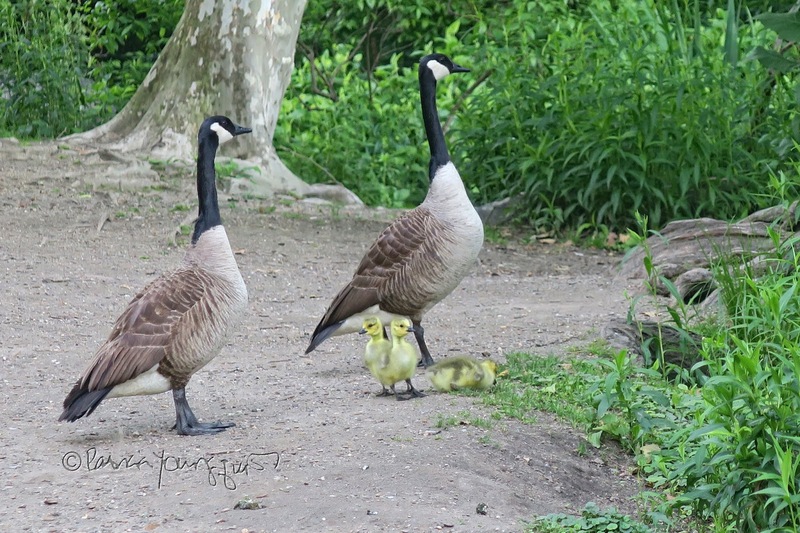 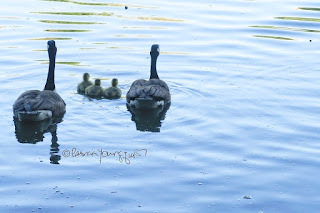 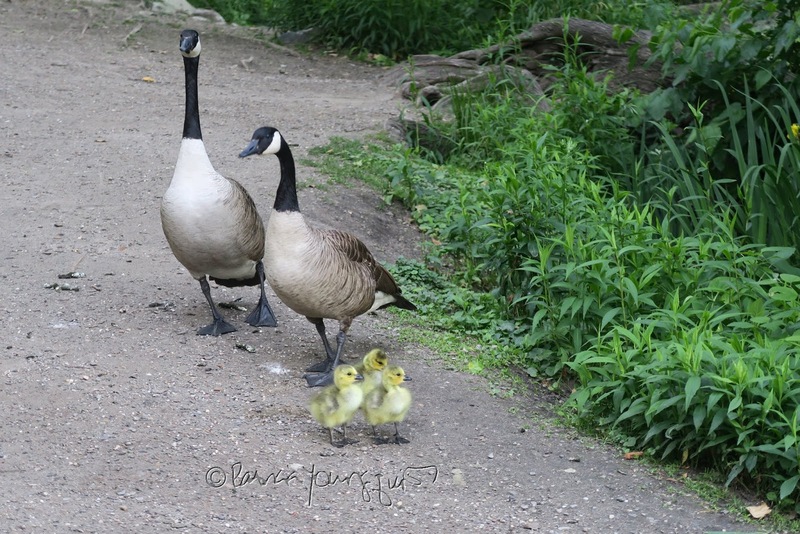 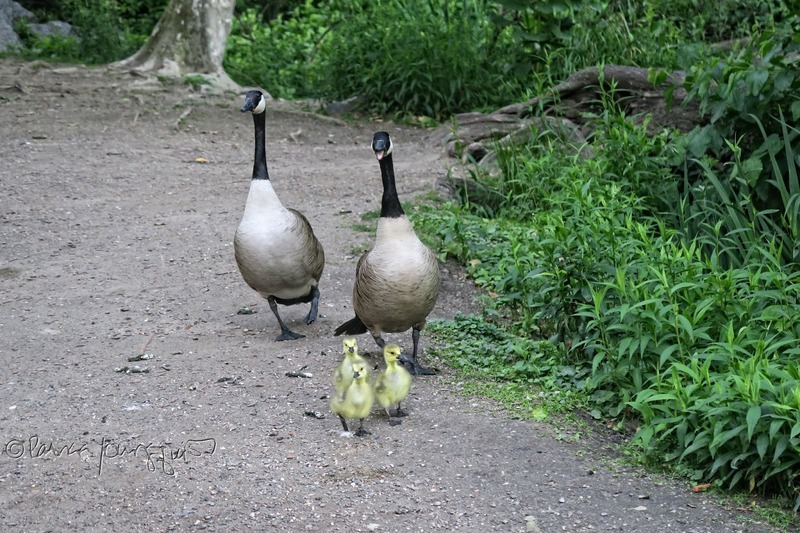 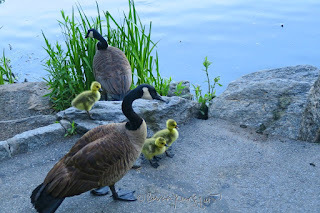 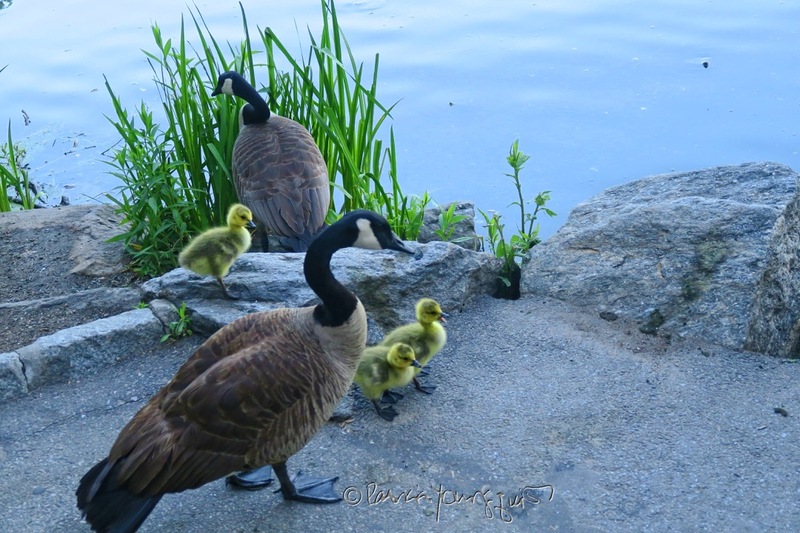 where I've included the following set of photographs of Canadian Geese siblings enjoying a night out in Central Park with their mom and dad. 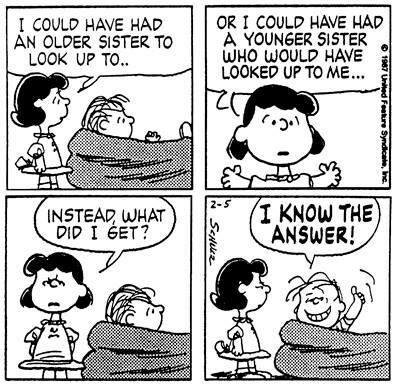 However, people are not necessarily so enthusiastic when it comes to sibling; the PEANUTS comic strip below accentuates this fact. 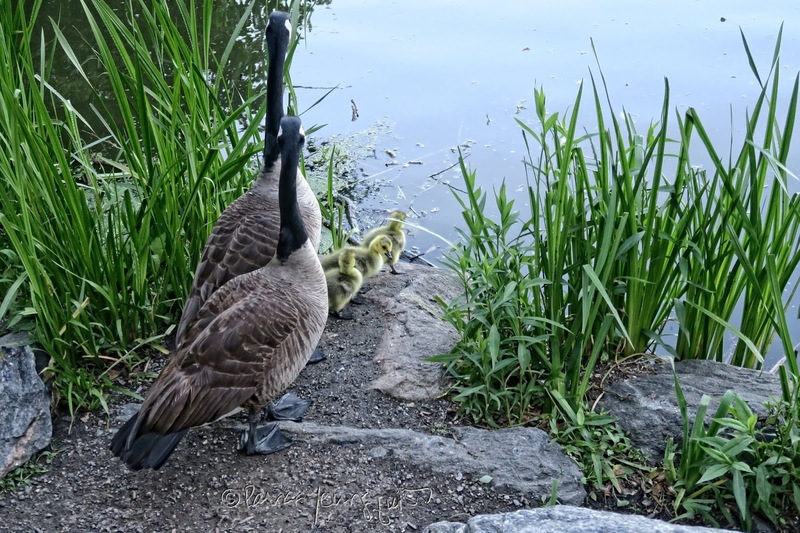 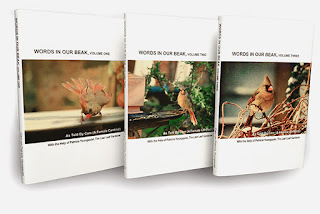 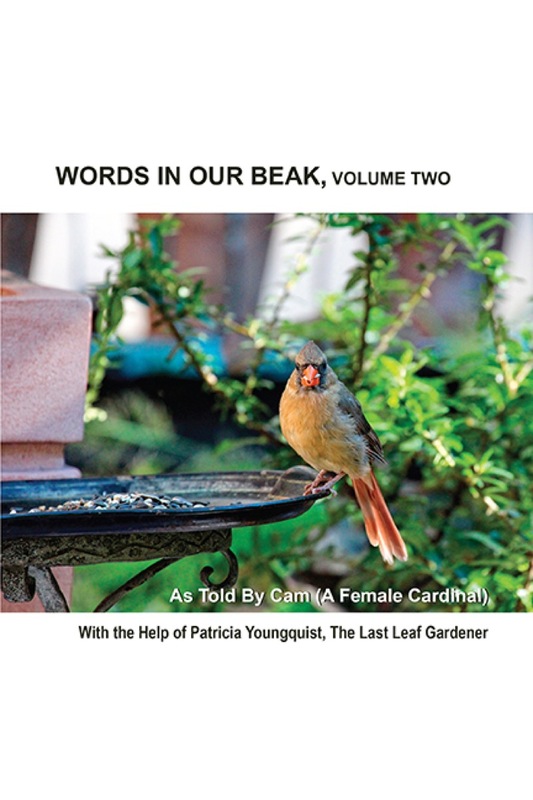 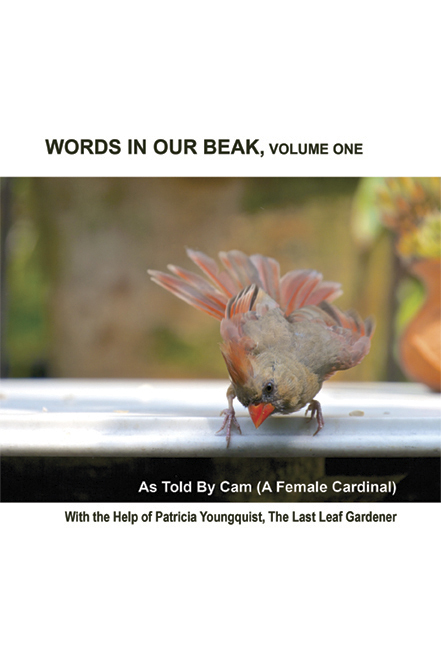 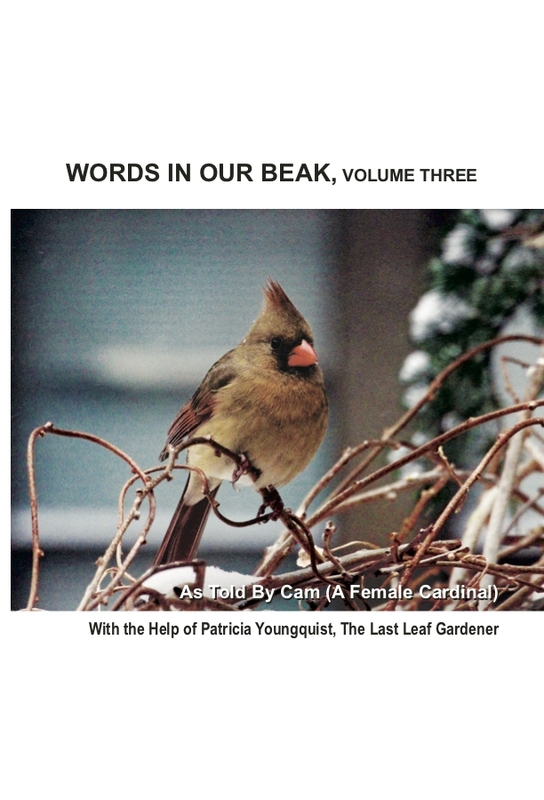 Be that as it may, rather one appreciates his/her sibling or not, concentrating on how the birds treat each other is a nice way to honor this unofficial holiday.